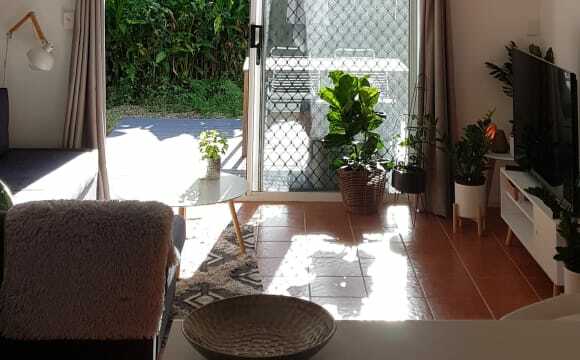 Room to rent - Available now Room for Rent in Brinsmead, Cairns | from $155, Fully Furnished - no pets please (cat living on the premises) SHORT TERM or LONG TERN - must be employed. 15 - 20 min to the city by car. Queen bed. Bedroom has a desk, TV, Air-con, built-ins, and drawers. Linen available if required. 3 separate living areas - an undercover outdoor area with fridge. 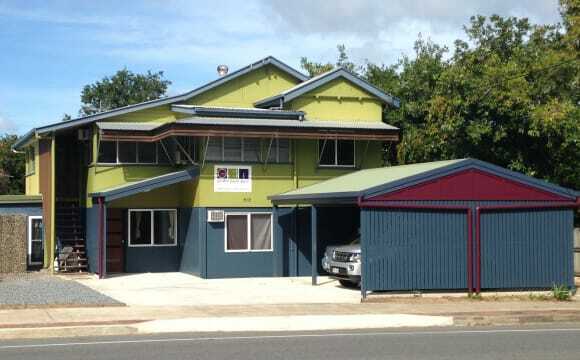 Rent includes power and NBN wifi. (does not include professional cleaning - $25per month) Smoking outside only. $155 PER WEEK LONG STAY 4+ months. $165 PER WEEK SHORT STAY - less than 4 months. room for a boat with backyard access Lock and key to rooms quiet household Living in house: Author/book cover designer, nightshift cleaner, adult Japanese student. 1 cat :) Message me for further details. Lots of outdoor living space, pool. Close to bus stops and airport. Fully fenced house. Quiet and safe neighbourhood. 15 minutes to uni, beaches and city centre. Solar panels to keep electricity costs down. All the usual household items included. Rooms can be furnished. Large rooms with mirror built in wardrobes. Groceries, cooking and washing seperate! Clean and tidy. 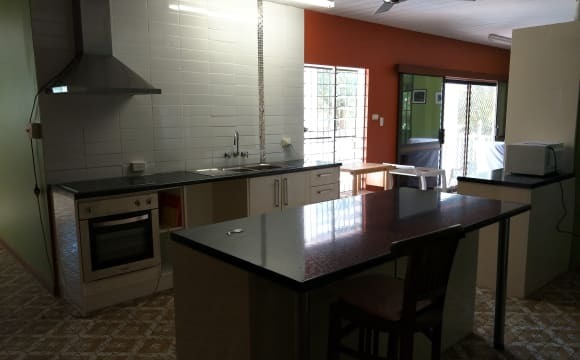 Very nice comfortable 3 bedroom home with high quality furnishing and every convenience. 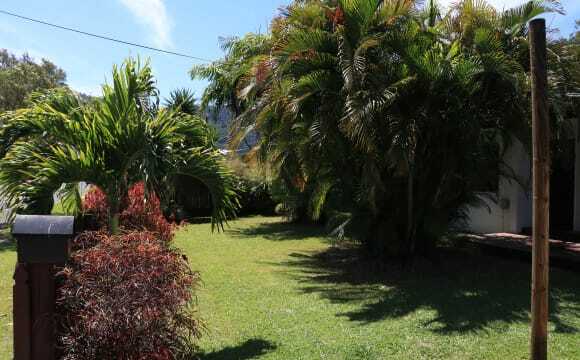 Private garden close to walking path and forest walks. Quiet safe friendly neighbourhood, off street parking, (not undercover), internet access and fully air conditioned and furnished, electricity included in rent. 2 minutes walk to the bus stop, shops and 10 minutes drive to the City. The house has three bedrooms with one of them becoming available April 30th. It’s located 5 minutes away from Edge hill and the botanical gardens. About 10-15 from the CBD traffic depending. The room will be unfurnished but a bed and some furniture can be arranged upon request. You’d be living with two full-time employed males both of whom are clean and sociable. The unit is fully air conditioned, your own private room and own bathroom. Use of all amenities, nice quiet gated complex, lock up garage and off street parking available, 2 pools in the complex. Only 15 minutes to the cbd, walking distance to bus stop. All new furniture, unlimited wifi all you need is your own bedroom stuff and linen. $165 a week rent which can be set up direct debit to the realestate. Bond is $660 and you will need to pay 2 weeks rent in advance all paid to the realestate which you get back upon moving out. Redlynch is close to the beaches and close to the city centre, 5 min drive to crystal cascades and has all the shops you need in walk from our house! Netflix, internet and gas is included in rent, split the electricity bill! Room is unfurnished but has a built in wardrobe with some drawers and full length mirrors. great vibe friendly people and family orientated, we get along and have fun and its a team effort. the owners live up stairs and they are great and there really nice people and operate a wickit food van. they also have a dog named pepper and she's some very intellectual little pup. Older style house but very large. There is a pool and nice leafy suburb with breezes blowing through. Kitchen and bathroom updated 8 yrs ago. Safe and friendly area. Please message Carol if interested. Older house, room is extra large with queen bed, lots built in cupboards and a desk. Air-conditioned and has ceiling fan, all linen etc supplied. 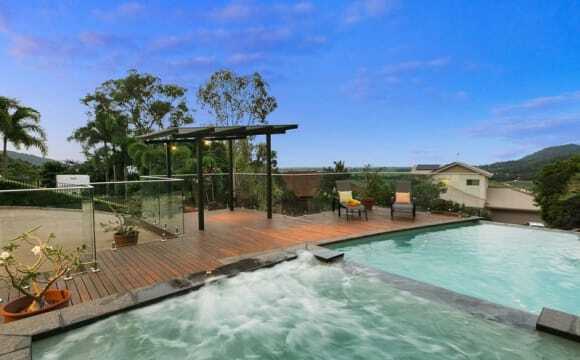 There is a pool, and a verandah for Tennants use. Freshwater shops are easy walk away and there is a bus stop at end of street. Nice safe leafy area, your car would be safe parked in the street. Please message Carol if interested. Quiet, leafy neighbourhood. 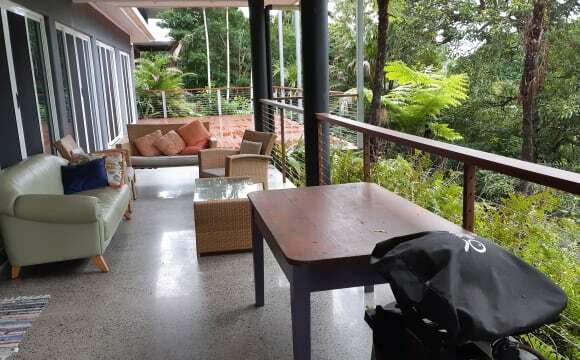 Comfortable and clean 4 bedroom 3 bathroom elevated home in upper Edge Hill with views. Would suite (30's + age group) professional female who has their own vehicle. Easy access to the CBD plus short walk (15 min) to Botanical Gardens, Mt Whitfield walking trails and Edge Hill Cafe precinct. You have your own modern bathroom &amp; toilet. All linen and towels provided. 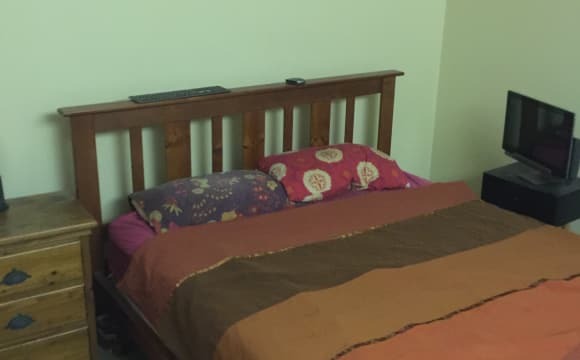 Bedroom is fully furnished with Queen size bed and ample wardrobe storage, room has overhead ceiling fan and opens to large deck. Free internet. No additional bills other than rental. Public transport (bus) 10 minutes walk though this location is more suitable for someone with a vehicle. A bike can be made available to borrow. Looking for just one other female to share with one professional male 50's (Home owner) and 1 professional female 30's - $200.00 per week (Inclusive of all utilities, unlimited internet etc). We have a pool to relax in on these hot and humid days and barbeque area with great views into the rainforest. Forget about the hustle and bustle of traffic Stratford is only 10 mins to the airport and 13 mins into the City with off road bike lanes for those who like to walk or ride. Stratford hub has a pub, great butcher, doctor, chemist, general store, hairdresser, Thai restaurant, library, post office and 3 coffee shops /eateries. We also have Jonsonns Farm Market in walking distance. Hello, Welcome HOME... 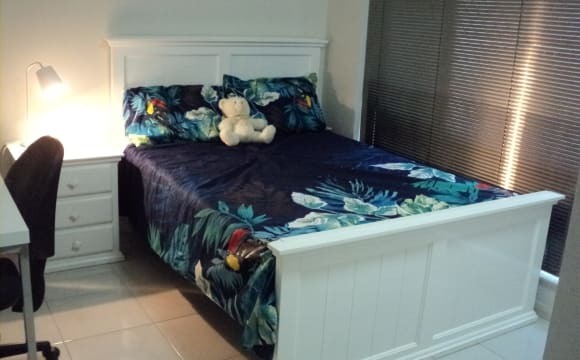 This is a modern, clean, fully tiled, fully air conditioned home in a very safe secure area in Kanimbla, Cairns. The room has a Double bed, Air Conditioned, built in wardrobe, plenty of storage spaces, study / work desk, lamp, bedside table etc etc. Everything to be comfortable. 95% OWN bathroom (shared occasionally IF we have visitors - which is almost never!!). All bills included in one simple price with unlimited WiFi, electricity, washing machine etc. 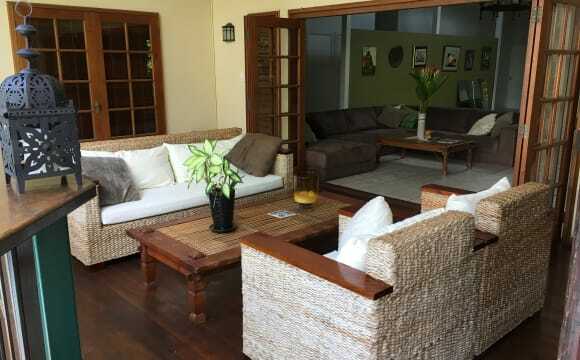 Fully furnished home, with all your needs catered for. Please note the house is approx 1km to the bus stop so you will probably need a car or bike staying here. Yes we have a remote lockup space in the garage for your car. We are a busy family of four = two adults, two children. A boy and a girl they are 10 and 14. We are looking for (preferably) a female to share our home and enjoy living in our spare room at the front of the house. We have shared with others for 4+ years. So we fully understand needs for privacy, study and also enjoy company of others. The room is available now. Please call us to meet the family n see if this can be a good fit for you. We are looking for someone who is easy going, friendly and bubbly personality is a bonus. You need to be accepting of children. If you have issues living with happy fun RESPECTFUL kids, maybe this isn't for you. We are looking for someone who is INDEPENDENT and be their own boss but still wants to enjoy the company of family sometimes. 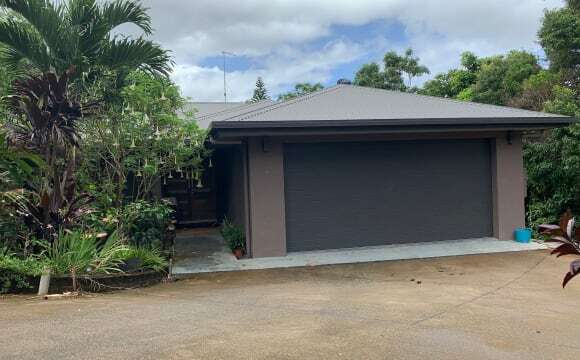 Entire place / granny-flat on first floor of house for rent in Redlynch in modern new home with views out to Green Island. 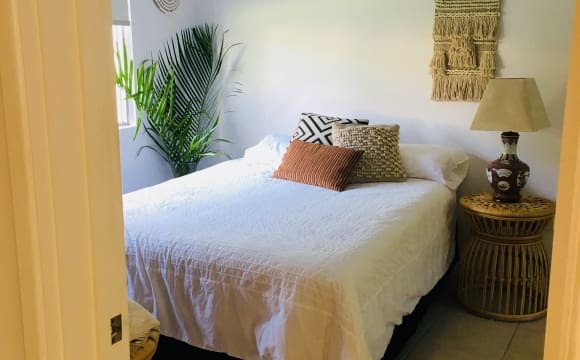 Space includes: 2 bedrooms, full kitchen (with stove top/oven), bathroom, dinning area, patio and pool/jacuzzi with street and off-street parking. $375 p/w incl. electricity and unlimited internet. Seeking quiet professional/students/respectable persons. 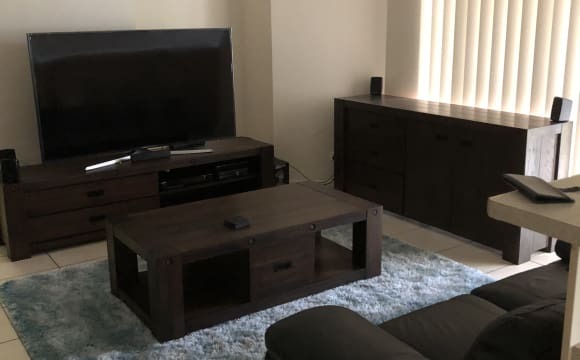 Must have own furniture and appliances as space is completely separate from main house. Connection for washing machine in lock-up garage area.